The Hugh Jackman deadlift of 410 pounds put him into the prestigious 1000 pound club. The 1000 pound club is exclusively for those who deadlift, squat and bench press weight on one day equal to 1000 pounds or over. While he is better known for his movies like The Wolverine, watching Hugh Jackman deadlift is an inspiration for people of all ages. When you realize that Jackman's age is over 40, you might find more motivation to get fit yourself. As of this update, Hugh Jackman's age is 50 years old on October 12th, 2018. He proves that no matter what your age, even if you have hit 50 or 60, you can still get stronger. And if you think that you are too tall to deadlift, Hugh Jackman is 6 feet 2 inches in height and still deadlifting serious weight. 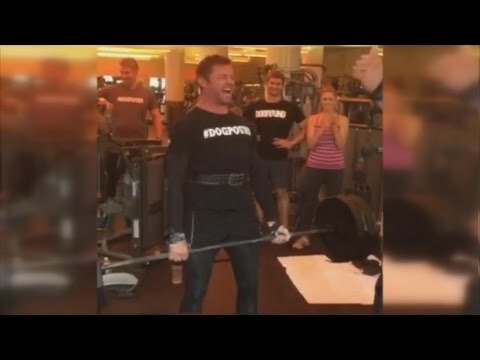 Here is the video of Hugh Jackman deadlifting 410 pounds which put him into the 1000 pound club. 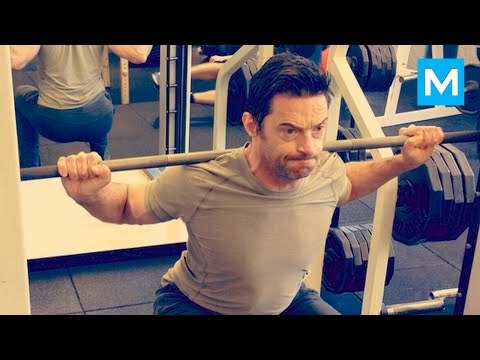 Hugh Jackman called this video, “The deadlift that brought me into the 1000 pound Club”. A 410 pound deadlift at any age is impressive, especially at the age of 46. 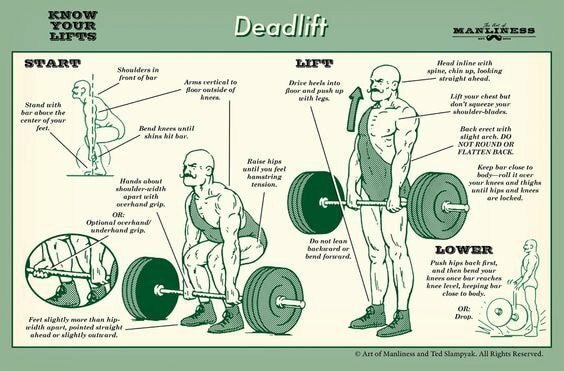 If you have been trying to improve your deadlift personal records, you will understand why. The X-Men Apocalypse star is not only a winner of Emmy, Tony and Golden Globe awards. He is also a winner at pushing himself to get stronger even at the age of 46 in his 410 pound deadlift video. In one day, he did a 355 squat, 235 bench press together and a 410 deadlift in one workout routine. This equals a 1000 pounds of weight lifted within a 3 hour exercise workout window. The squat, bench press and deadlift must be completed within a 3-hour window in order to join the 1000 pound club. True, staying strong and in shape is part of his ‘job', but let's not use that as an excuse to keep sitting on our couches. If Hugh can do it, so can you, even if you do not have a personal trainer or several hours a day to workout. Hugh proves that if you stay consistent, eat clean and focus on the basic compound exercises of the squat, bench press and deadlift, you can build a stronger and leaner physique, even over the age of 40. 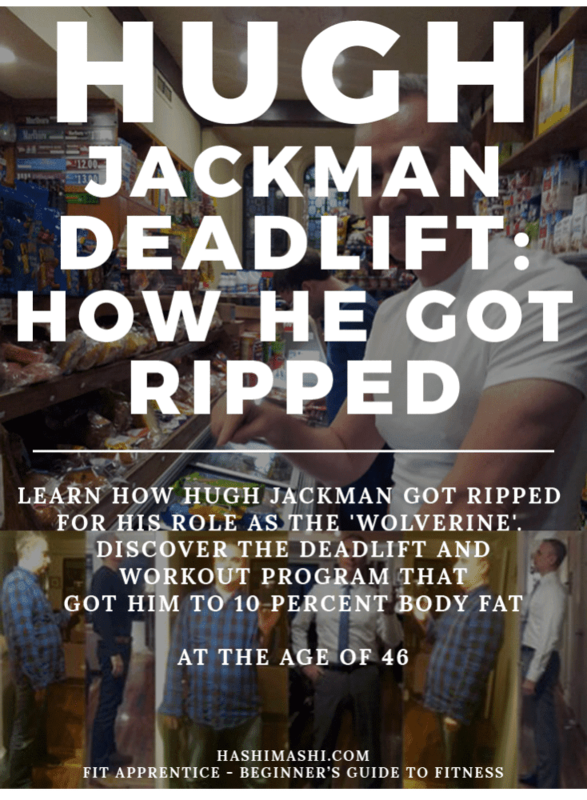 While it is true that you might not have a personal trainer to workout with two hours a day and to set up your meal plan, you can still get results by following a plan similar to the Hugh Jackman's deadlift workout program. What is the Hugh Jackman Deadlift Workout Program? This is how Hugh looked in the year 2000 at the age of 31. Now, here is how Hugh Jackman looked for his role as the Wolverine in 2015 at the age of 46. 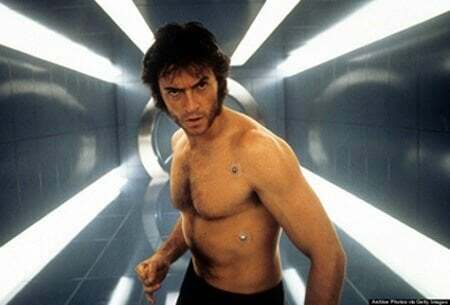 This program was created by Personal Trainer Dave Kingsbury to prepare Hugh for his role as Wolverine in the X-Men movie series. His workout program included the basic compound lifts of deadlifts, squats, bench press and pull ups. This strength training routine helped the 6 foot 2 inch Wolverine weigh in at 195 pounds and under 10% body fat. 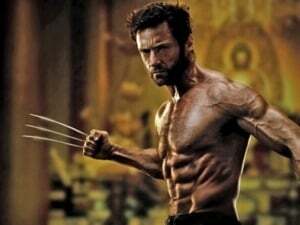 Hugh's workout program is also known as the ‘Wolverine' workout program. This strength training workout plan is based on 4 week blocks and your 1 rep max. Calculate the pounds you will lift for your other exercises of squats, bench press and pull ups using the same percentages. You can squat and deadlift on Monday, Wed and Friday, leaving the bench press and pullups/pushups for Tuesday, Thursday. Then the next week you can change it up doing bench press and pullups on Monday, Wednesday and Friday and squat and deadlift on Tuesday and Thursday. After one week at the same weights, raise your pounds the next week by 5 to 10 percent. This basic deadlift workout can get you into peak condition, if followed consistently, along with proper food choices. If you feel that you can only squat and deadlift once a week in order to recover, so be it. Let the Hugh Jackman deadlift inspire you to reach your fitness goals no matter what your age. Are you over 40, 50 or 60 and inspired to start deadlifting? If not, read how deadlifts change your body. Deadlifts helped me crush obesity, lose 100 pounds in 15 months and get fitter than I thought possible. At the age of 55. Next, please read How the Deadlift Turned Allyson Felix Into an Olympic Gold Medalist Runner.